Although I wouldn’t say I mistreat my kit, I do push it hard, simply by putting it through thousands of kilometres of – at times – torturously rough terrain. Over a long trip like this, conditions include snow, rain, heat, humidity, dust and sand… I service my bike every once in a while, try to carry it through river crossings to protect bearings, and do my best to keep the drivetrain clean. But most of the time it’s caked beneath a veneer of mud. So far, it’s held up pretty well. Having picked the especially burly Rigida Andras, I’ve escaped both wheel rim and spoke mishaps, the bane of any touring cyclist. The stanchions on my Magura Odour suspension fork eventually wore out, as did the bearings in my Shimano 323 pedals (they were old and the bolts were stripped out, making servicing impossible). Both of these can be put down to wear and tear – so no gripes there – along with the various cogs, chains, bottom brackets, bottle cages and tyres I’ve worked my way through over the 25000 kilometres I’ve travelled so far. 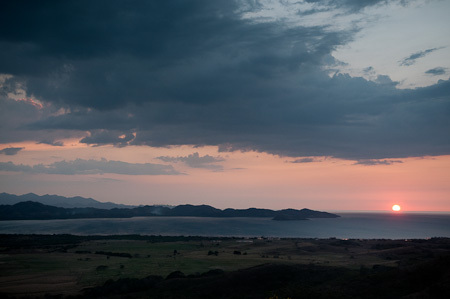 Today my forward progress was thrawted once more, just as I was enjoying a beautiful ride along a dirt road towards Costa Rica’s Bahia de Salinas. 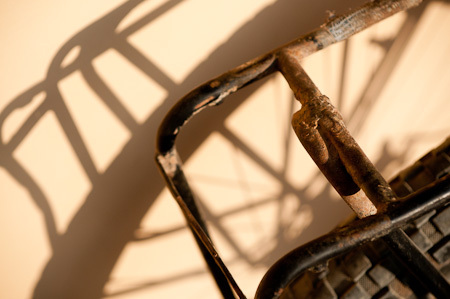 Abruptly, my driveside crank disintegrated around the pedal thread… Luckily, I was able to hitch back to the guesthouse I’d stayed in the night before, stash my bike, and hop on a bus to the nearest sizeable town. After trawling through the various shops, a replacement was found and I’m now ready to roll once more. 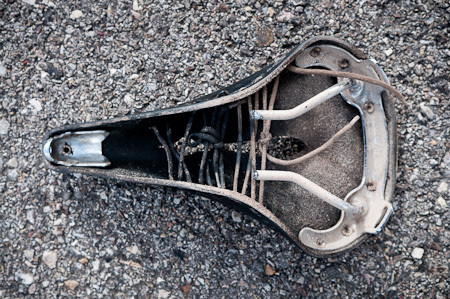 Both the rails on my first Brooks Imperial saddle broke in Utah. They were welded back to life in a Mormon garage, allowing me to make it to the next bike shop, were the owners kindly donated me a replacement. 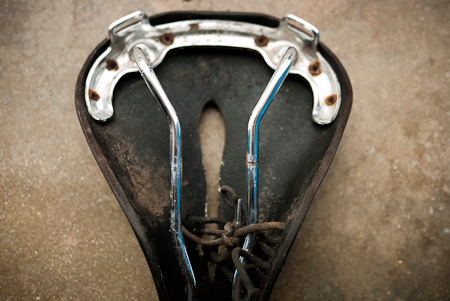 I was gutted, as it was by far the most comfortable saddle I’ve ever used – I could even ride with a smile in jeans. The rails snapped ten miles out of a settlement. Not so comfortable for riding anymore. The cross strut in my Tubus rack cracked after weeks of rough Mexican backroads in the Sierra Madre. Being cromo, it was easily repaired at the nearest grungy welding shop. That first attempt was a bit of a botch, so it was re-welded close to the Belizian border by a veritable master. Incidentally, Tubus offered to send me a replacement, although I have yet to follow them up on the offer as the repair has made it as good as new. 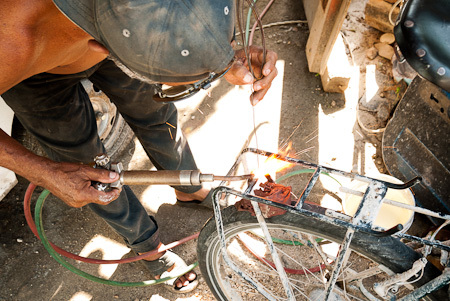 Expert welding. And he’d only take an orange juice as payment. 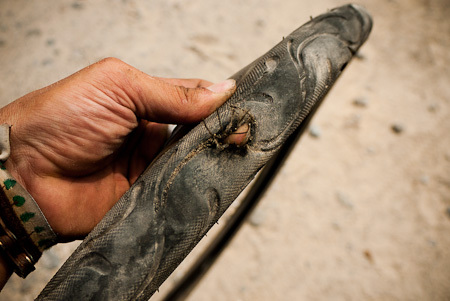 Knowing I had a long stretch of pavement ahead along in Oaxaca, I bought these $5 slicks to save life on my valuable Schwalbes and speed up my riding. The rear didn’t last more than a few hundred kilometres- luckily, running 26in wheels meant I could easily pick up an equally cheap replacement to tide me through. The front was still going strong after a couple of thousand clicks, and I ended up giving it away in Guatemala. 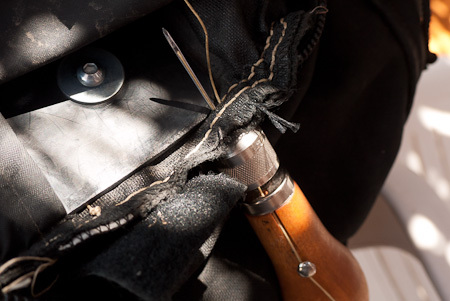 Some time back, a section of stitching came away on one side of my Arkel XM 45 panniers. I contacted the company to let them know, and they were quick to reply. Arkel would have sent a replacement, but it was easily repaired with the nifty Speedy Stitcher at the beach in Michoacan, and has held just fine since then. Somewhat surprisingly, my Chris King hub bit the dust in a remote part of Northern Guatemala, after the spokes pulled away in several places. I contacted them, sending photos and explaining what I was doing. Considering the price of the hub, I can’t say I was particularly delighted with their response: they would only provide a replacement shell, and loan me the tools to move over the axle and bearings. Given my location, I thought it was a little tight. On top of this, I had to pay for the shell until until mine could be sent in to them, to verify it would be covered by their warrantee. Luckily Cara was about to visit from the US, so we were able to organise everything in time. But it was a real hassle, and involved a couple of all night bus rides, and a complete wheel overhaul. I was later reinbursed the cost of the shell when Cara sent it in from the US, but I never received anything by way of an explanation or feedback. 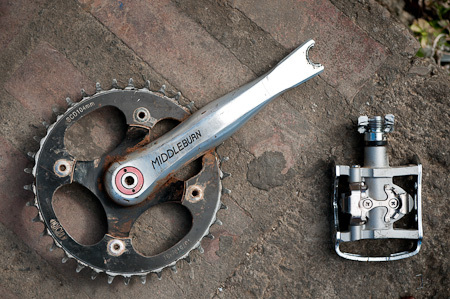 My supremely elegant Middleburn cranks, with me since the beginning of the trip, are sadly no more. I chose to run square taper cranks as I figured they’d be easy to source all over Latin America. Ironically Liberia, the closest town to me in Costa Rica, had a clutch of excellent, high end bike shops, but there were few square taper cranksets on offer – a sign of the times. Almost all their options were the more modern two piece systems. I eventually managed to find a suitable 4 bolt, 175mm replacement: a Shimano Alivio crankset for $40. Not as lovely to look at, but they do the job. Incidentally, the English-made Middleburns have a lifetime warranty and I was offered a replacement. This entry was posted in Bike Talk, Costa Rica, Gear and tagged Arkel, Brooks, Chris King, Middleburn, Tubus on February 26, 2011 by Cass Gilbert. hey Cass, sad to see the middleburns die, I’m with you on them being a super class crank. The hub was interesting, I thought one day I might have a CK hub in a touring wheel but thinking of Goldtecs now. Had a crank go like that whilst sprinting for a ’30’ sign some years back. Foot, with pedal still attached, hit the floor causing me to shoot off at right angles and into the hedge on the other side of the road. Luckily no oncoming traffic ! Hope your breakage was less eventful and painful ! 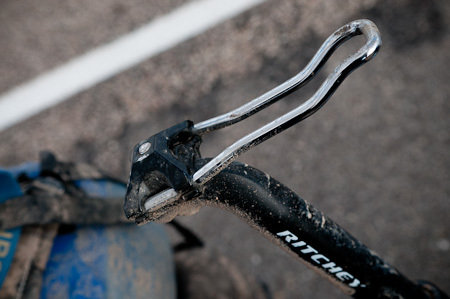 Having fun reading the blog, reminds me of when I rode south over some of the same roads and trails in the early 90’s. Great memories. Quick recommendation for Royce hubs for touring, unbeatable. Wow, bad news the Chris King failed at two places at the same time! I’ve had this same model hub fail me twice when the little stainless rings at either end of the hub (the rings that sit against the fork drop-outs) cracked. I did get replacements, but never a proper explanation. Which means I can no longer rely on it for touring. I’m now trying my luck with a Hope pro 2 hub..See how they fair. Not as light or sweet running as the CK though..
Don’t over look White Industries Hubs! I would run them well before Phil, Hope, King or Shimarshmallow. 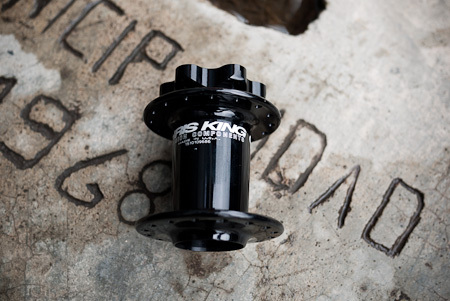 3 well hidden cartridge bearings, a completely serviceable freehub body and meaty high flanges in 40 and 48 drillings! 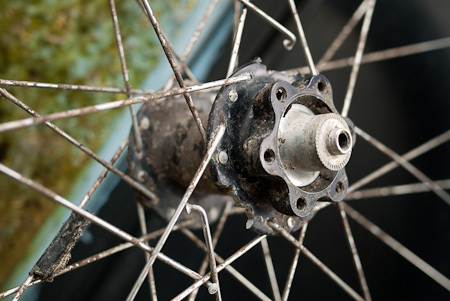 I’ve always used Shimano XT hubs with loose bearings – easy to service and you can interchange parts with other Shimano models, even cheapo ones in a pinch.